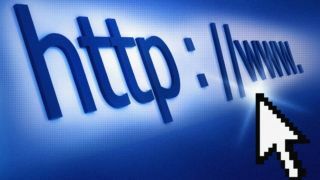 The Department for Culture, Media and Sport (DCMS) has kicked off a two month market test of the Connection Vouchers Scheme to help small businesses connect to superfast broadband. It will run in five cities – Cardiff, Belfast, Edinburgh, Manchester and Salford – that have met the DCMS's criteria of having a credible "demand simulation" plan in place. This involves informing businesses about the benefits of getting better broadband and having a choice of suppliers in the area. Businesses can apply for £250 and £3,000 to get connected, but have to pay the line rental themselves. They must have less than 250 employees and a turnover below £40 million, and be ready to sign up for a service that delivers 30Mbps and over for at least six months. Also, they should not have received grants totalling more than £120,000 over the past three years. Community and social enterprises that meet the definition can also apply. A spokesman for DCMS told TRPRo it is using the test to assess the likely take-up of the scheme and see what could be done differently when it goes nationwide. The money comes from the £150 million Urban Broadband Fund that was set up to support the creation of a number of "super-connected" cities across the UK. DCMS is making £2.25 million available for the market test and £90 million for the national roll out. Communications regulator Ofcom recently moved to reduce the cost of broadband with proposals for BT Openreach to cut the wholesale prices it charges to other providers.